China has overtaken England in the top five countries of birth that are living in NSW and Indian migration is also on the rise. He said that marketers are guilty of "ignoring" the cultural diversity dimension, revealing that one in three people in Sydney speak a language other than English at home. He questioned if marketers are okay with a quarter of Sydney not understanding their advertising campaigns. Examining the Sydney demographic break down, he revealed that 78% of Sydneysiders live in the greater west, with only 4% in the inner west and north shore and 5% in the eastern surburbs. In comparison, only 3% of Sydney's agency folk live in the greater west, with 41% living in the inner city, 25% in the eastern surbubs and 12% on the north shore. The differences in this data has led to adland execs not recognising the diversity of greater Sydney. Western Sydney is incredibly diverse with more than half of the population of Fairfield and Cumberland are born overseas. Almost half of those living in Parramatta are born overseas and just over 40% in Blacktown and Canterbury-Bankstown. Arabic speakers are Muslim? Wrong again: Only 50% of Arabic speakers are Muslim. 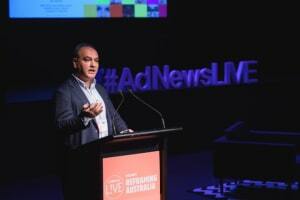 The disconnect between adland and the rest of Australia has led to multicultural stereotypes being perpetuated in the media and harmful assumptions made about demographics, believes Multicultural NSW CEO Hakan Harman. 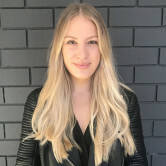 Speaking at the AdNews!Live Reframing event today in Sydney, Harman encouraged the room of marketers and agency execs to consider the cost of “creative white washing” and the business benefits of connecting with diverse Australia. "Brands that do not adopt a more representative approach will lose out in the market,” he said, adding that the last five years have seen big changes in the cultures that are immigrating to Australia.